Our company deals with the production of company and promotional stands, sale racks and other advertising elements. In this area it is one of the most important players on the market. We specialize in the production of racks, stands and cash zones in high quantities. At the same time, we work on specialized orders with specific requirements in the design, technical solution or innovative character of customer’s products. If the client has only a vague idea about the final product, our Development Department will prepare several proposals in the form of sketches, and only those proposals which fulfil the requirements with regards to aesthetics, utility value and, last but not least, the price are developed into the form of drawings. The long-term experience of our employees is our guarantee not only for well-designed, but also mainly functional products. The evidence for this fact are our high numbers of repeated orders from large retail chains, supra-national companies within the area of the sale of foodstuffs, and chains of the hyper and supermarkets. In addition to these products, we offer a wide range of products from our so-called “wire programme". They are air-acting baskets, holders, meshes, hooks, stands or racks with an ageless design. Since the establishment of the company in 1978, we have continuously improved our know-how, and construction and technological possibilities according to the ever-increasing requirements of our clients. The third production area is the production of elements for warehouse systems. It concerns the production of heavy and large-dimension protective feet, protective frames, meshes, cross-bars and other components. 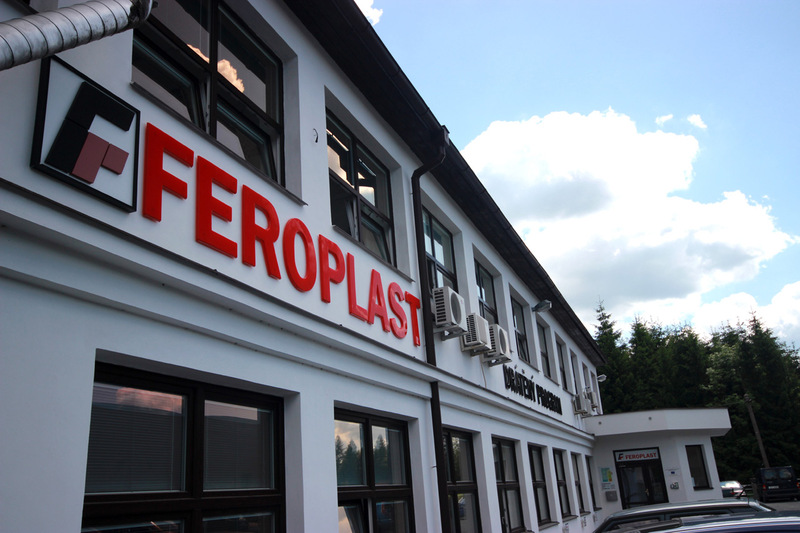 Thanks to our diversification into three relatively independent areas, Feroplast is a stable company. However, diversification alone is not sufficient, there is also the necessity, among other things, to maintain the permanently high technological level of our machinery. We regularly invest in new technological equipment, as well as innovating technologies and production processes. An integral part of the design of our products is their surface treatment. Feroplast is equipped with a painting line for performing a surface treatment by polyethylene and polyamide. In 1996, our subsidiary company FEROLAK was established which performs surface treatment using powder plastics. The resulting colour range is almost unlimited and enables them to fulfil their clients’ wishes to the smallest detail. The main objective of the management is to manage at a high level and to improve services for the maximum satisfaction of clients.